The Universe conspired against me this week, first of all landing me with a nice flu, followed directly by some horrible sickness bug that featured projectile vomiting of the likes only seen in movies such as the Exorcist! Thankfully the Universe decided to give me a break this week so an IwGame Engine update got finished. Most of the changes this week are XOML related as this is the general direction we want to take the game engine. A good mix of XOML mark-up and solid coding should make games and media apps very quick and easy to develop. Oh and we got a new logo for the IwGame Engine woohoo! Feel free to use the logo in any of your IwGame powered products, or if you want to link to us. Quite a few changes and bug fixes. Note that someo f the bug fixes directly affected IwGameAds so an update to that API will be released shortly. Lets take a look at the changes in more detail. You can later modify the value of that variable using a SetVar action, more on this later. Each scene contains its own variables collection and the global resource system also contains a global variables collection. The TestActor Player2 will be assigned all of the values in the properties defined in the style saving you a whole bunch of typing as well as making your mark-up much more readable and easier to maintain. More will be added as we think of them or when requested. You can also add your own custom events youself. Check out the CIwGameActor class for a reference on how to do this. You actually create a group of actions that are all executed when the action is called by an event. Again, more will be added as we think of them or when requested. You can also add your own custom actions youself. Check out the CIwGameXomlAction_Actors class for a reference on how to do this. Coupled together the events and actions system provide a very powerful way of creating fully interactive content without having to write a single line of code. You can also (as shown in the actions section) load a XOML file from an action. Using this system you can create fully interactive navigation based content. Think adventure games, books, magazines and informational apps etc..
Cameras can now be defined in XOML and attached to scenes. You can also switch a scenes camera using the animation system. Sprites and actors can now use an image transform allowing you to flip the source image used to render the object. The ne FlipX and FlipY attributes are now available in XOML. Well thats it for this update. IwGame now has some very cool features that should hopefully make game / app development much easier and quicker for everyone. We are going to assess the possibility of wrapping up Marmalades cool UI system with XOML very soon, will keep you all posted on how that goes. I am also looking at producing a new article on in-app purchasing with the Marmalade SDK, which will form the basis of in-app purchasing for the IwGame engine. Had flu all week and now I’ve been afflicted with a chest infection so it’s been a pretty miserable week. 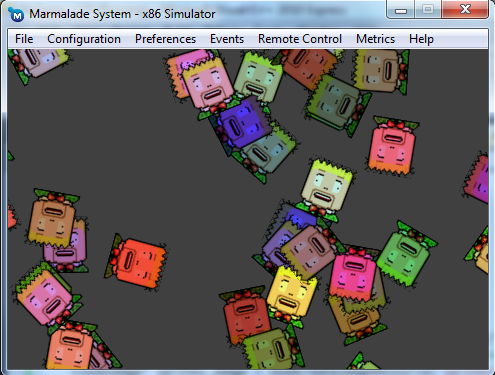 At least the news of our game BattleBallz Chaos being shown at the Blackberry Devcon 2011 lifted the old spirits. In the last tutorial we covered basic sprites and more to the point bitmapped sprites. We began to create a basic API called IwGame which will eventually serve as our game engine framework that we can all hopefully build cool games around (that is once we have weeded all of my bugs out ). The idea this week is to get those sprites animating (aside from rotating, scaling and moving), we want the image of our sprite to change. 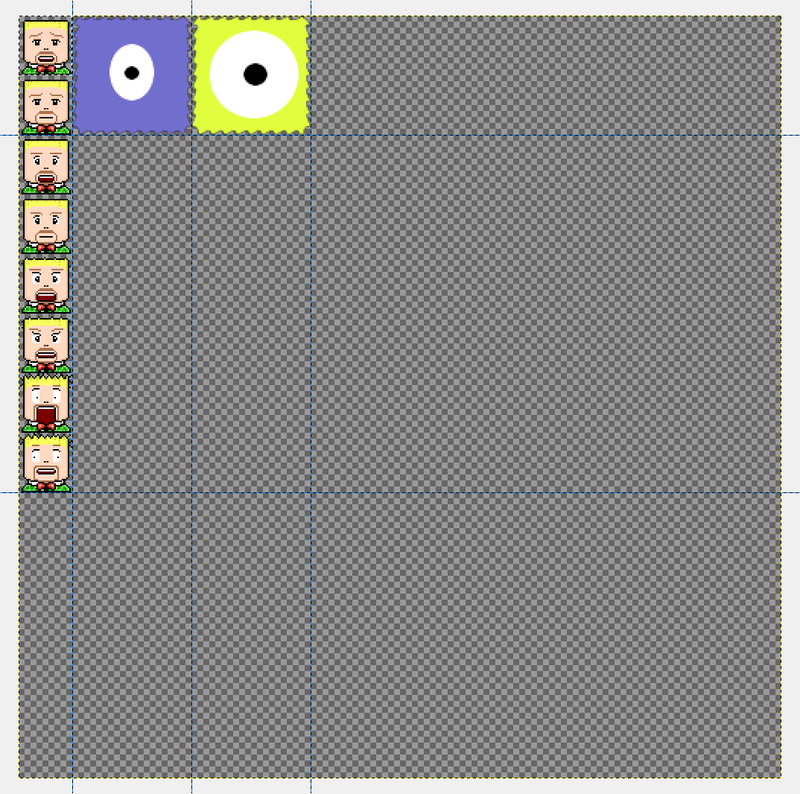 My plan for this week was to build a very basic animation class that we could use to animate our bitmap frames. Well my intentions were good and I started out creating a basic image frame animation class but decided to scrap it and create a more extensive animation system that we can use for more than just image animations. If you just need the code then you can grab it from here, otherwise please feel free to read on. What is an Animation System? How could an animation system be useful to us? Well we could use it to animate the texture that appears on a sprite giving it personality (a face that smiles, cries or laughs for example), or we could animate an objects position and rotation to follow a specific path around the game world. We could even animation a list of instructions or game object states using a discrete animation to give the impression that the object is intelligent. Animation – Refers to the complete animation including all its frames, its playback rate, callbacks etc..
Frame – Refers to a single discrete component of the animation, this could be a particular image, position or velocity etc..
Its important to note at this point that I have not fully tested this code yet. I only spent a few hours writing it and testing it (time constraints), but be certain that as we use more of the animation system in our tutorials it will get fully tested eventually. You never directly create an animation from this class, instead you can derive your own animation type from this class or use one of those already provided. A sprite atlas is basically a large image that contains a group of other images. To create an image animation we simply display different portions of the sprite atlas. The class itself is very basic, it allows you to set the frame data and number of frames using setFrameData() and get the current frame using getCurrentImageFrame(). We will take a look how to use this class a little later on. CIWGameAnimFloat and CIwGameAnimFVec2 will be discussed in more depth in a separate article that deals with animating in-game objects. It would be great to be able to just create a bunch of animations and have something to automatically update them all for us without having to track each one individually, this is where CIwGameAnimManager comes in. CIwGameAnimManager allows us to add a bunch of animations to it and the manager will manage the updating and cleaning up of the animations and all of their frames for us. It would also be cool if we had an object that had a collection of different animations that it could play to depict it doing different actions, such as running, walking, sleeping, falling etc.. CIwGameAnimManager allows us to add all of these animations and then select which animation is the currently active animation. Switching animations will stop the current animation and set the next one off playing. The default behaviour of a freshly created CIwGameAnimManager object is to update all animations within the manager and not just the currently playing animation. To switch the manager into tracking and playing only the current animation call setUpdateAll(false). Note that our project is now called IwGame and future game engine examples will retain this name. If you build and run the IwGame project you will see 100 sprites spinning around on the screen, but the difference will be that the sprite is of a face animating manically,. In terms of assets, we now have a single sprite atlas containing all of our sprites called sprites.png located in the data folder. We have also updated our Leve1l.group group file to include just the sprites.png file into our deployment archive. Its not a complex piece of code, just a bit wordy. Firstly we create an animation frame manager which in turn lets us create actual animation frames. In this case we use the helper method allocImageFrames() to generate the 8 frames manic head animation from our sprite atlas. Next we create the actual image animation, set its animation frames, tell it to loop forever and then finally set it off playing. You will notice that we now set the sprites image source rectangle (this is the rectangular area of the source image that will be displayed on the sprite), this data is pulled directly from the animation system for the animations current frame. Note that we didn’t actually place our animation inside a CIwGameAnimManager, so we call the animations Update() method manually. The animation system is a chunky bit of code that may take a while to absorb for some of you at the moment, but it will become apparent over the coming weeks just how to utilise it as we plan on using it quite a lot. This code calls the Marmalade SDK Iw2D function Iw2DDrawImageRegion() which allows us to draw a rectangular portion of a source image instead of the whole thing. Note that we use absolutely no object pooling in any of these classes, but we will be adding it in the near future. I left it for now because the code is already quite complex in its current state. Well that’s it for this tutorial. Our next tutorial will introduce Scenes and Actors where we get to tie our animation and sprites systems together into a core game engine that we can make some cool games with. You can download the code that accompanies this article from here. Hope you all find this blog useful and until next time, don’t forget that…., hmmm I forgot!